A handmade wire sculpture for your favorite dress, jacket or coat. Each one is unique. This is made out of colored wire. 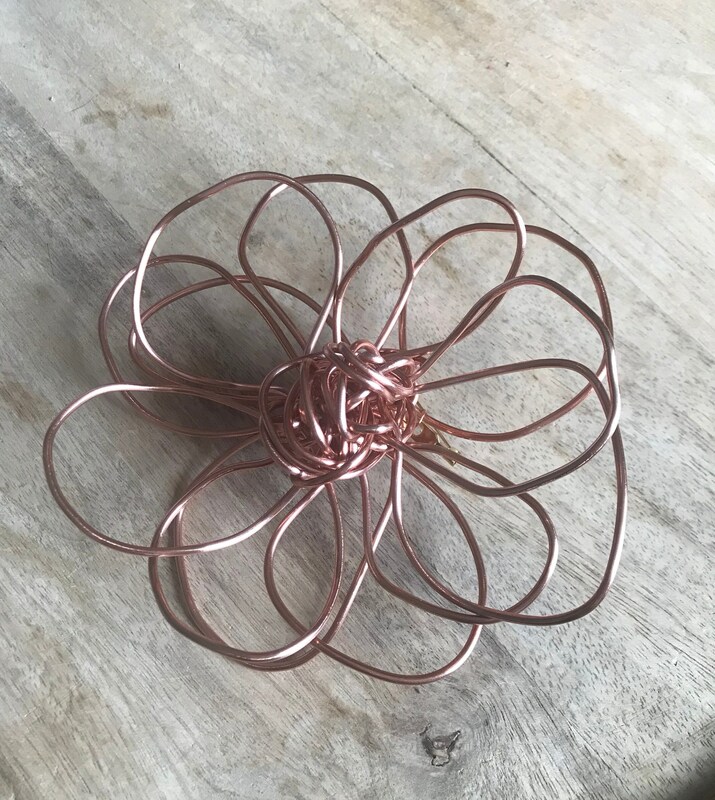 Large Cooper-Colored Wire Ababoo (Flower) -Handmade Sculptural Brooch. Fabulous pin amazing customer service!